This brown butter vanilla bean apple crisp is the perfect addition to your fall dessert menu. 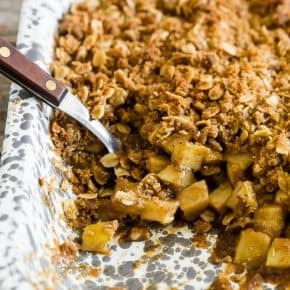 Made with delicious fresh apples, tons of vanilla bean paste and crumbly crisp topping, you’ll love this! Oh heyyyyyyy, it’s apple season! I know. The second it turns September and us crazy bloggers go straight into fall apple and pumpkin mode. We can’t help it. It’s in our nature. But, really can you blame us? I wait all year long for it to be apple season. I also wait all year long for fall because it’s gorgeous, it’s hoodie/flip-flop weather, AND I get to wear sweaters so I can hide all those extra pounds I put on by eating “comfort” food. 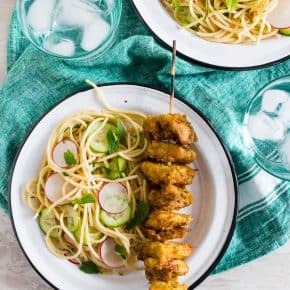 Double plus for this recipe because it contains vanilla bean paste my most favorite thing on the planet earth. I know, I won’t shut up about it. If you haven’t bought some yet you really need too. I literally put it in everything. In fact, I rarely even use vanilla extract anymore because vanilla beans take everything to the next level. Oh, and don’t forget the brown butter. That’s total next level. 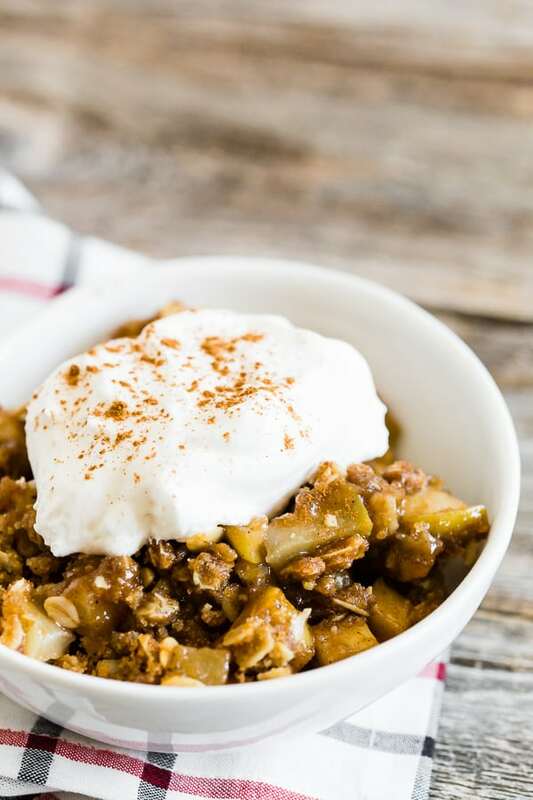 Now, the first thing you should know is that I made this brown butter vanilla bean apple crisp recipe back in 2011 and decided it needed a little refresh. You’ll see that I do that a lot because back in 2011 I barely had any readers. Now it’s 2018 and I just a fewwwwww more readers. Good news for me but it also means that a lot of you have no idea what I was doing back in 2011. So, I’m sharing it again! But, obviously, I updated the post content and gave you new pictures. 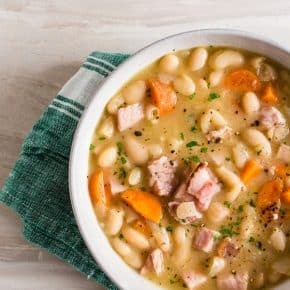 Trust me, these pictures show the beauty of this recipe WAY better than the old ones. And I was really craving apple crisp so redoing this recipe gave me an excuse to make this brown butter vanilla bean apple crisp that felt somewhat legit. I mean, a craving is legit but we all know I do not need to be eating apple crisp on a random Tuesday. Well, the answer is because I’ll make this crisp. Then I’ll take a bite of this crisp. Then another bite. And then another. Basically, I’ll eat the whole freaking crisp and share nothing with Art because I cannot be trusted with warm baked goods and I’m rude. However, I sacrificed and made the crisp. And I ate the crisp. But it’s ok. Now you can make this brown butter vanilla bean crisp and jump right into the fall spirit with me. 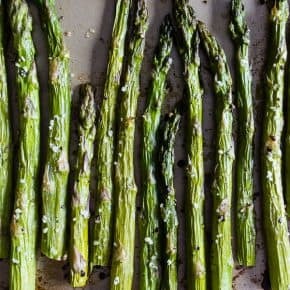 Looking for more delicious crisp recipes? Try my caramel apple crisp pizza, double berry apple crisp, vanilla sugar peach crisp, frozen cherry crisp, strawberry rhubarb crisp, pear crisp with vanilla brown butter or my slow cooker fruit crisp. Also, give my blogger friends recipes a try – Paleo vegan apple crisp, peach crisp or this delicious double crust cherry crisp. 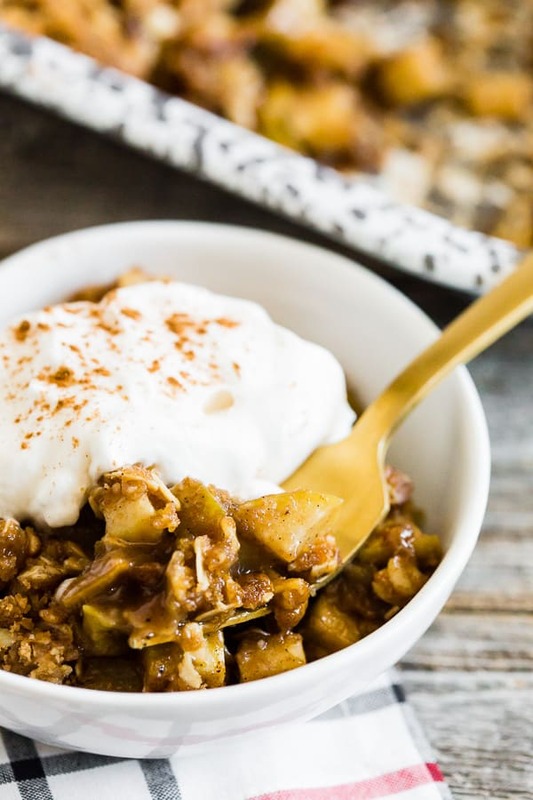 This brown butter vanilla bean apple crisp is the perfect addition to your fall dessert menu. 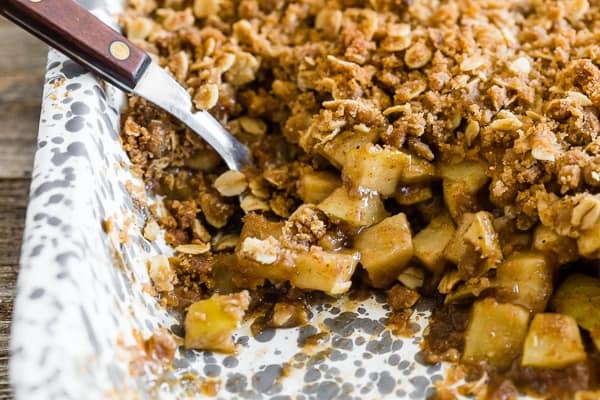 Made with delicious fresh apples, tons of vanilla bean paste and crumbly crisp topping, you'll love this! Preheat oven 350 degrees and set aside an 8x8 baking dish. Mix together the apples, brown sugar, vanilla bean paste, lemon juice, cinnamon, and nutmeg. Add the mixture to your 8x8 dish. Top with topping and bake for 35-35 minutes. Once the butter is melted it will start to foam and then subside. You will see small flecks at the bottom of the pan. When they have reached light brown and the butter smells nutty it is ready. Browned butter can burn very flip-flop so if the flecks turn black you will have to throw it out and start over. Once your butter is ready, take it off the heat and let it slightly cool. 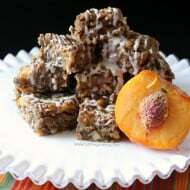 In a medium sized mixing bowl add flour, rolled oats, brown sugar and cinnamon. Pour the butter over the mixture and stir to combine. 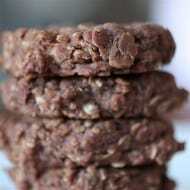 The mixture will look crumbly and the mixture should be evenly incorporated. 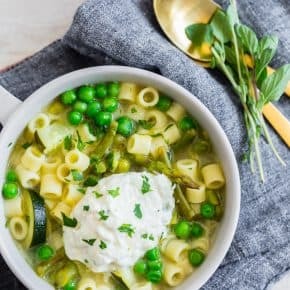 Omg this looks so good. And yes you are so right, vanilla is amazing! I love the crisp topping too. That is my favorite of all fruit dessert toppings. I can’t wait to go to the store to get some apples! I love the addition of vanilla bean paste…I ran out of mine a few weeks ago and badly need to buy another jar! 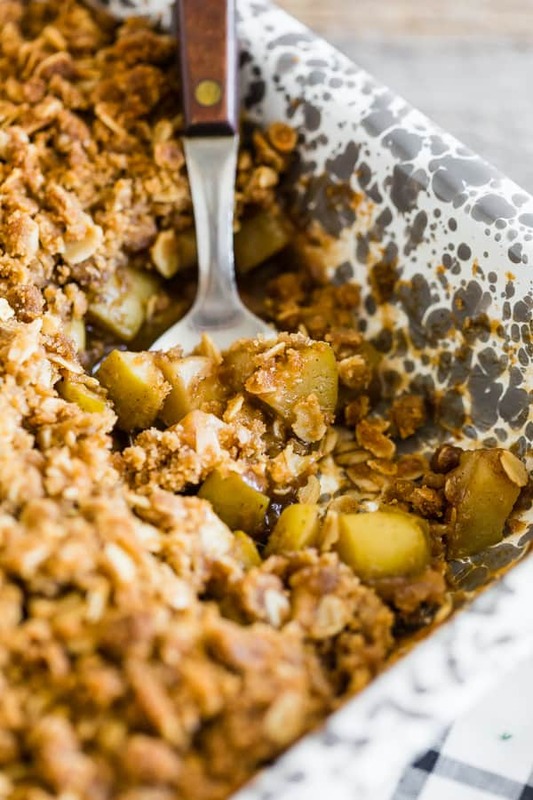 This apple crisp looks awesome…I’d like a bowl for breakfast right now! lovely addition to apple crisp 🙂 ironically i just posted a version as well, with rosemary and honey! What a delicious and comforting pudding, I’ll bet it is positively sumptuous! Your lucky hairdresser! She probably has her fingers crossed that you’ll miss more appointments! Uhhh, yum. I swoon for crumbly toppings!! Wow! I’ve always wanted to try vanilla bean paste, this sounds wonderful! Nice choice — vanilla and apple are a fantastic combo! Such a sweet gift too! 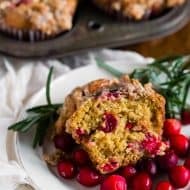 I’m interested in joining the Holiday Recipe Club. Thanks so much for your consideration! It looks so good-I totally would have forgiven you for much worse if you brought this to me! no wonder your hairdresser forgave you… who could resist this delicious looking crisp!?? I may be slightly obsessed with vanilla as well, in fact for the longest time my favorite perfume was a vanilla scented one! I think I need to get my hands on some vanilla paste. This looks amazing!! Oh I LOVE vanilla, love love love it. I think I’m the only girl who doesn’t have a hair dresser. I should get one, so I’ll have yet another person to deliver treats too. I’m a convert to vanilla bean paste too. It’s all I use now. This looks like a great crumble! 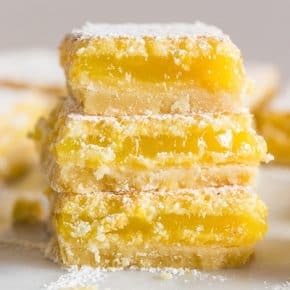 Scrumptious crisp, so perfect with apples and vanilla! Sounds like a lovely version of apple crisp… I am a big fan of vanilla, as well! I loooove apple crisp, and the idea of adding vanilla to it? Genius! 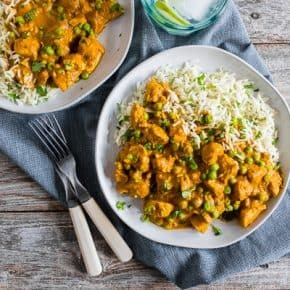 Hmmm…I may have to us this recipe for my next forgiveness gift 😉 Looks terrific. I am not strong enough to resist a warm apple crisp!! The browned butter takes it to a new level! I want to try this crisp! This looks incredible! What a terrific flavor profile for this delicious crisp! This apple crispy sounds to die for. I love all the flavors of fall that you have mixed in. I will definitely try this! Looks absolutely amazing!